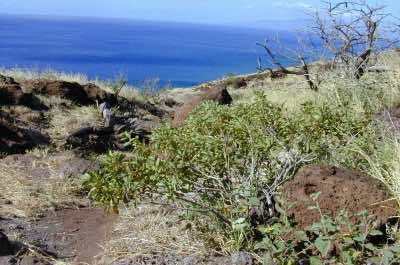 If you like to get outdoors and go hiking, you will be thrilled with the variety of Maui hikes. You can enjoy a nice stroll with the family on the Kapalua Coastal Trail which crosses three beaches or you can try the Pipiwai Bamboo Forest Trail which affords big views of two waterfalls and an interesting bamboo forest. Other more strenuous hikes can be found at Sliding Sands Trail within Haleakala National Park as well as the Mahana Ridge Trail. 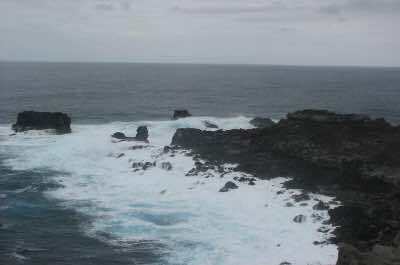 If you like blowholes then try the Acid War Zone Trail where you can view the Nakalele Blowhole. If you are driving up the Crater Road to the summit of Haleakala Crater there are several short nature loops where you can stretch your legs. Whether you want big views or a leisurely walk on along the coastline, you are sure to find the perfect Maui hike for you and your family. 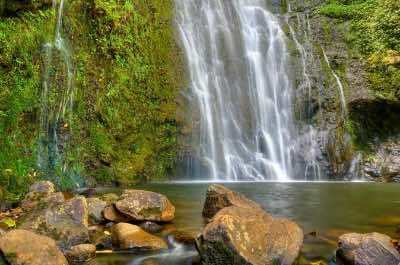 If you are looking for a Maui hike that includes viewing several waterfalls, then the East Maui Waterfalls and Rainforest Hike is ideal for your family. Your 6-hour adventure begins with hotel pick-up or you can meet your expert guide at the Kahului Park ‘n' Ride where you will then be transported to the trailhead which is located on the Hana Highway. You will learn about the fauna, flora and eco-system of Hawaii from your guide as you follow on this 2.5-mile hike which is suitable for all skill levels of hikers. During your hike you will view at least three waterfalls with perfect tumbling water of up to 40-feet. Once at the waterfalls you can take photographs, swim in the pools and jump off basalt cliffs that are 10 to 15-feet high. When you are finished exploring these magical waterfalls you will indulge in a complimentary healthy lunch of deli-style sandwiches and more. An added bonus is the drive along the Hana Highway which boasts the best tropical scenery on the island. Your tour concludes when you reach your car in Kahului or you are dropped off at your selected hotel. If you are looking for a casual Maui hike that follows the Kapalua coastline, then the Kapalua Coastal Trail is a perfect choice for you and your family. Located in Kapalua on the northwest shoreline of the island, the Kapalua Coastal Trail is a developed 1.75-mile trail that is ideal for hikers, joggers and families that want to view the beautiful coastline. You can access the Kapalua Coastal Trail from several vantage points including D.T. Fleming Beach, Kapalua Bay Beach, Oneloa Beach, The Bay Villas beach access parking lot or the Ritz-Carlton, Kapalua. The Kapalua Coastal Trail begins at Kapalua Bay Beach and continues north over the wonderful sand dunes at Oneloa Bay. From here you will go through the Ritz-Carlton beautiful gardens until you reach D.T. Fleming Beach. While you are strolling on this trail take a moment to stop at the Dragon's Teeth Labyrinth and enjoy the tide pools as well as the various lava rock formations. The scenery of the Pacific Ocean and the marine life as well as the beautiful tropical scenery is fascinating as you walk this well-maintained trail. You will find facilities at D.T. Fleming and Kapalua Bay Beaches. If you are driving to the summit of Haleakala National Park on the Haleakala Highway, also known as Crater Road, you will be surprised at the Maui hikes that can be found at several lookouts and the summit area. The Haleakala Highway is a 20-mile well maintained road with numerous switchbacks and drop-offs that are not protected by guard rails. 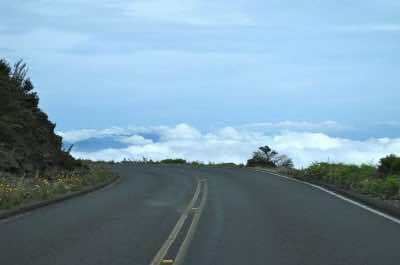 The Haleakala Highway takes you to the summit of Haleakala Crater which is 10,023-feet in elevation. There are several quick hiking trails you can take when you drive this spectacular road that looks out over moonscape scenery. The first is Hosmer Grove located one mile before the first visitor's center. This Hosmer Grove trail is a 0.6-mile loop which is packed with interesting plants and birds. The second trail you can access while driving is the Halemau'u Trail which is a 2.2-mile roundtrip hike that features incredible views of the valley where cliffs can drop 1,000-feet instantly. Near mile marker 17 and 18 you will find a nice 0.5-mile roundtrip hike at Leleiwi Overlook where you can spot endangered birds and plants of the area. Once at the summit there is the Pa Kao'oao Trail which is 0.5-mile roundtrip hike with tremendous panoramic views of Maui. The summit area of Haleakala Crater has over 30-miles of hiking trails that can accommodate leisure hikers, day hikers and backpackers. If you are searching for ridgeline Maui hike that boasts tremendous views and a well maintained trail, then try the Waihee Ridge Trail. Located in the western portion of the island near the West Maui Mountains, also known as Mauna Kahalawai, the Waihee Ridge Trail is a 5-mile roundtrip moderate to difficult hike that has an elevation gain of 1,000-feet. You can access the trailhead at mile marker 6.9 along the Kahekili Highway which sports a large parking area. As you start your hike there are two gates and you need to take the gate that goes uphill on a cement road. At the top of this steep incline you will get your first look at Makamakaole Falls and after three-quarters of a mile you will once again be rewarded with a spectacular view of the falls. 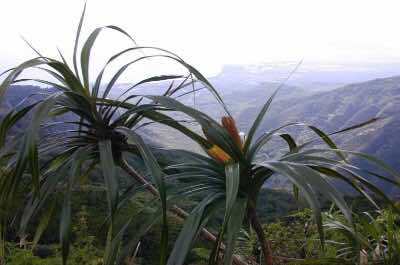 As you climb the switchbacks you will have great photograph opportunities of the tropical landscape as well coastline. When you reach the top of Laniili you will experience grand views of the valley and Pacific Ocean. There is a picnic table at the summit as well as several benches along the trail at specific vantage points for premium viewing of the surrounding scenery. If you are interested in a Maui hike that features a bamboo forest, a huge banyan tree and waterfalls, then the Pipiwai Trail is ideal for you. 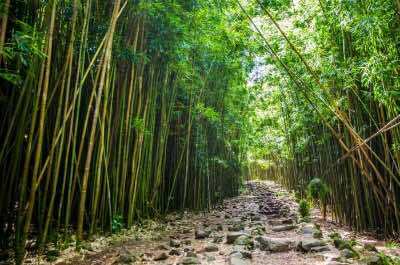 Located in the southeast portion of the island within Kipahulu, the Pipiwai Trail Bamboo Forest is situated within Haleakala National Park and is a 4-mile roundtrip moderate hike on a well maintained trail that includes several sections of boardwalk. You can access the Pipiwai Trail Bamboo Forest towards the end of the Road to Hana 12-miles past the town of Hana and there is an additional Haleakala National Park visitor's center where you can park. The first sight you will see on the Pipwai Trail Bamboo Forest a big view of Makahiku Falls as the water tumbles over 200-feet into a beautiful pool of water. After about a mile of the hike you will reach the famed bamboo forest where if the wind is blowing and the tree stalks start to touch each other, you will be serenaded by the sound. You can continue on the trail for a stunning vantage point of Waimoku Falls which boasts cascading water of over 400-feet which lands in a gorgeous pool below. Your return trip is the same path. The Acid War Zone Trail is one of the more interesting Maui hikes because you follow the coastline to the Nakalele Blowhole. Located on the northern shore line of the island, the Acid War Zone Trail is 1.25-miles in length and is a challenging maze of rock outcropping and dirt bike trails to follow in order to reach the Nakalele Blowhole. To Access the trailhead you travel north on Highway 30 until you reach mile marker 38 where you will find a small parking lot that has been carved out by motor bikes. From here you will travel 50-yards until you reach a light beacon. You will continue up the coastline along an undefined trail through rock outcroppings and cliffs for 600-yards. You pass by several tide pools but even with the ladders that are present, the tide pools are hard to maneuver. The landscape becomes more desolate as you get nearer to the Nakalele Blowhole and you should use caution as the blowhole can shot 50 to 100-feet in the air depending on conditions. Your return route is the same way back. If you want to view some of the most incredible ocean scenery as well as walk on prime beaches, then the best Maui hike for you is the Wailea Coastal Nature Trail. Located on the south shoreline in Wailea, the Wailea Coastal Nature Trail is an ideal 1.5-mile paved path for walking or jogging along some of the most superb coastline in Hawaii. You can access the Wailea Coastal Nature Trail from Polo Beach or from several vantage points including one of the five public beaches the trail crosses. The five public beaches are Polo, Wailea, Ulua, Keawakapu and Mokapu which all offer facilities as well as gorgeous white sand. As you walk you will have a chance to see sea turtles, humpback whales and spinner dolphins playing the Pacific Ocean as well as numerous tide pools. You also have a great view of four islands which are Molokiui, Kaoolaue and Lanai. If you like plants then include a stop at the Hawaiian Coastal Gardens on Wailea Point where you can view sixty native plant species. When you are searching for that perfect Maui hike that is a worthy workout and summits Haleakala then the Sliding Sands Trail is ideal for you. 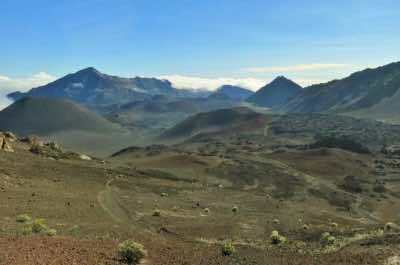 Located within the Haleakala National Park, the Sliding Sands Trail is a 10-mile out and back difficult trail which has an elevation gain of 2,800-feet on your return trip. You may also choose to connect with the Halemau'u Trail for an 11.2-mile loop journey. To access the Sliding Sands Trail you must first enter Haleakala National Park and park in the upper visitor's center parking lot. On the eastern side of the lot you will find the trailhead. As you start down Sliding Sands Trail you descend rapidly for the first 4-miles as you gaze upon the surreal landscape within the crater. If you are looking for a shorter hike then stop at the Ka Lu'u o ka O'o cinder cone which is approximately 2.5-miles from the trailhead with an elevation gain 1,400-feet on your return trip. If you decide to hike the whole trail or just a short distance, the views are simply incredible of the Haleakala Crater. The Lahaina Pali Trail is a wonderful Maui hike which affords great views of the Pacific Ocean as well as a strenuous workout. Located on the southwestern shoreline of the island within Papalaua State Wayside Park, the Lahaina Pali Trail is a 5 to 10-mile difficult trek which depends on whether you treat the trail as a point to point or a roundtrip back to your starting point. There are two possible starting points for the Lahaina Pali Trail which are Maalaea via Honoapi'ilani south of the junction for Highways 30 and 31 or Ukumehame which is just north of the Pali Tunnel. If you decide to do a hike-thru then you need to park one car at each trailhead. The Lahaina Pali Trail is an upward trek for the first 2.5-miles that will gain 1,600-feet in elevation before descending back down 2.5-miles. As you reach the summit of the Kealaloloa Ridge you will notice a large windfarm with several huge wind turbines. If you plan on only doing a portion of the trail then the Maalaea approach might be the best with big views of the stunning Haleakala and the Maalaea coastlines. During the winter months it is possible to view humpback whales from the Ukumehame approach. When you are looking for a short but beautiful Maui hike then try the Ohai Loop Trail and Overlook. 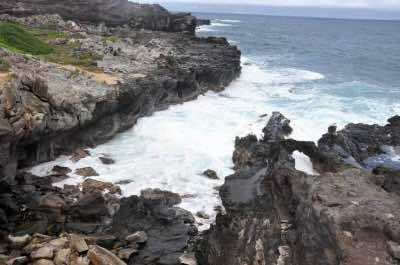 Located on the north shore of the island between the Nakalele Blowhole and Kahakuloa, the Ohai Loop Trail and Overlook is a 1.2-mile loop trail which is rated moderate. To access the Ohai Loop Trail and Overlook drive north out of Lahaina on Kahekili Highway until you are midway between mile marker 40 and 41. Here you will find the trailhead that follows the coastline. There is a 200-feet elevation gain as you walk from the trailhead. You will have fantastic views of the Pacific Ocean and the lush green coastline. Half way through your journey there is a single chair for you to sit and absorb the scenery. Once back at your car you can continue driving on the Kahekili Highway where you will find a lookout with a great view of the Kahakuloa Head. The Mahana Ridge Trail offers a few things on top of being one of the greatest Maui hikes, like gorgeous views of Mokupe'a and Honokahua Gulches as well as a view of Maunalei Arboretum. Located on the northwest shoreline of the island and near Kapalua, the Mahana Ridge Trail is a moderate 7-mile hike to D.T. 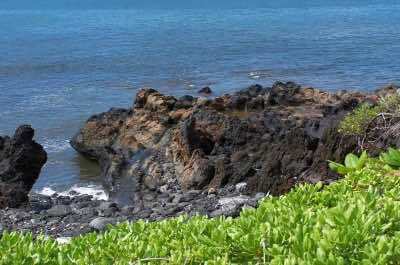 Fleming Beach or you may choose to return to Maunalei Arboretum for a 14-mile roundtrip trek. You will access the Mahana Ridge Trail by first arriving at the Kapalua Village Center where you can take a free shuttle to the Maunalei Arboretum. Once you are at the Maunalei Arboretum you will notice a picnic pavilion, a trail map and restroom facilities. If you hike with children you can enjoy the 0.5-mile Lower Loop as well as the 1-mile Bayan Loop which offer great vantage points of huge trees. If you decide to just hike the Mahana Ridge Trail then proceed to follow the Honolulu Ridge Trail until you reach the top. At the top you will connect with the Mahana Ridge Trail as you begin to steadily descend the ridge towards D.T. Fleming Beach. You will experience big views of Lanai as well as Mokupe'a and Honokahua Gulches as you trek over former farmland for pineapples and coffee. You may also decide to access the Mahana Ridge Trail at D.T. Fleming Beach where you will then make your trek uphill to the Maunalei Arboretum. Return trip from D.T. Fleming Beach requires you to walk through the Ritz-Carlton Resort in order to reach the Kapalua Adventure Center. You can access the free shuttle back to the Kapalua Adventure Center if you end your Mahana Ridge Trail Maui hike at Maunalei Arboretum.